The fourth and final Winter Treasure arrives. 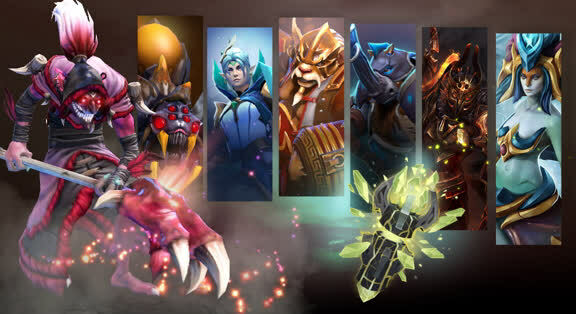 Available to Battle Pass owners as a level reward or treasure purchase, Winter Treasure IV features item sets for Magnus, Broodmother, Brewmaster, Naga Siren, Luna, and a rare Legion Commander set. 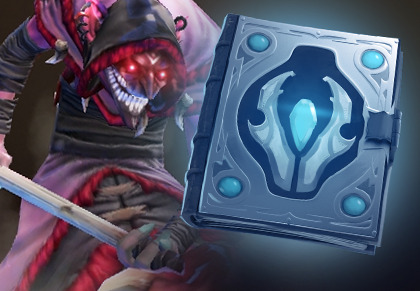 Also included is the Ultra Rare Darkclaw Emissary item set for Dazzle—as before, each of these treasures you open increases your chances of receiving the Ultra Rare set. With the first matches of the Shanghai Major event drawing near, the Shanghai Major Compendium features are now active. Along with the addition of Group Stage Brackets and Team Profile information, you now have more chances to earn Battle Points by correctly making Hero, Team, Player, and Tournament Predictions riding upon the outcomes of the matches in Shanghai. Check out the finalized brackets and lock in your predictions prior to the start of Group Stage play to use your skills of premonition to push your Battle Pass to the next level. The Group Stage will run February 25–28, with the Main Event to follow March 2–6. This update also sees a variety of fixes and the addition of several heroes to the Workshop, details of which can be found here.